The Health and Safety Executive has issued a warning to NHS Grampian after the deaths at the Royal Cornhill Hospital. NHS Grampian has received an official warning about safety at a psychiatric hospital in Aberdeen after three patients died in less than a fortnight. The Health and Safety Executive (HSE) said risk assessments at the Royal Cornhill Hospital for patients in danger of self harming were insufficient. The move follows recent concerns about staffing levels after the deaths at the unit. Maria Carter, 32, was found hanged on May 18 and taken to Aberdeen Royal Infirmary where her life support was turned off on June 5. 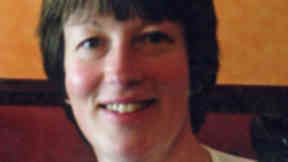 Mental health lecturer Andrew McKie, 55, was found dead in the hospital's grounds three days later, and on June 16 the body of Carole Corbett, 49, was found on the coastline near Stonehaven. 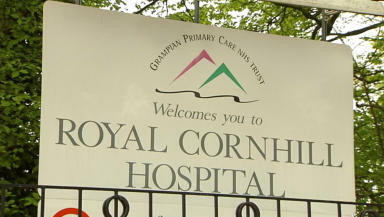 In a statement, HSE said: "You have failed to carry out a suitable and sufficient assessment of the risks to the health and safety of patients receiving care in the Skene Ward, Royal Cornhill Hospital, who have been assessed as being at risk of self harm." Three months ago it was announced that 30 nursing posts had to be filled as soon as possible at the hospital, but nine positions were still open in mid-June. NHS Grampian said the concerns have now been addressed. A spokesman said: "The service has experienced increased clinical activity in recent months, coinciding with a high level of nursing vacancies. We have been addressing the challenges with clinical staff and staff side organisations. "An additional £700,000 has been allocated for recruitment and, following a national campaign, 12 nurses have been appointed to fill additional posts and a further 20 are due to join in the next few weeks to fill current vacancies. "Additional health and safety training for mental health staff has been prioritised to ensure that all staff have the requisite skills." Critical incident reviews into the deaths are still being carried out, and the health authority has invited families of the deceased to participate.